The rebranding project included a branding audit, full branding and logo development, tagline, messaging, and new website. 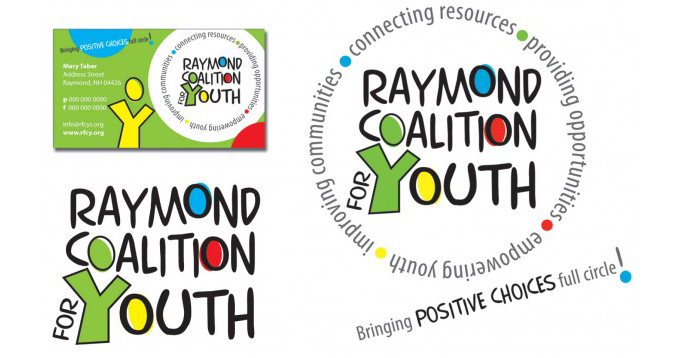 The Shoestring Agency worked with the Raymond Coalition for Youth staff and board for nearly 3 years to help secure a grant to develop a new logo and marketing approach. By working with an agency that focuses only on nonprofits, we were able to secure funding for the project through a capacity building grant. The re-branding was very well received by the nonprofit’s stakeholders, injecting new found energy into an organization that was in need of additional funding to survive. The project was a not only successful, but a model for other nonprofits seeking similar funding.